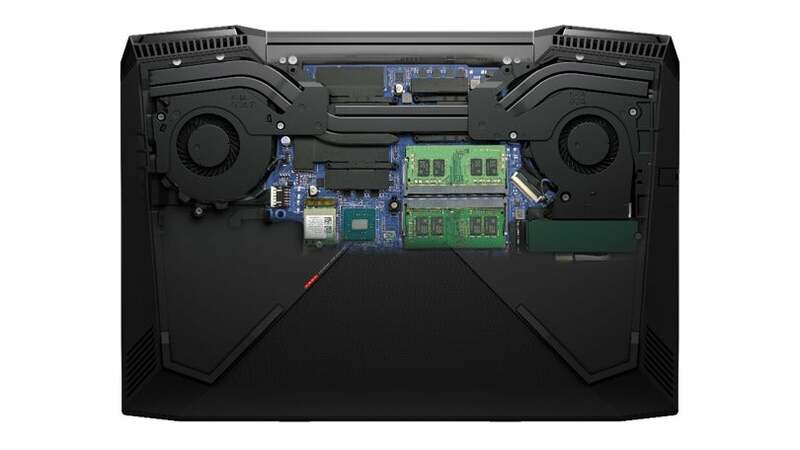 The revamped laptops also boast beefier CPUs and GPUs and greatly improved thermals. 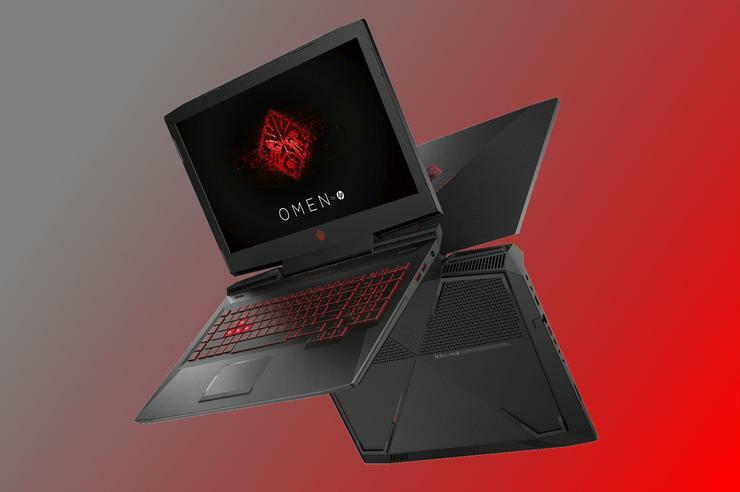 HP's revamping its Omen 15 and Omen 17 gaming laptops with new CPUs and GPUs and fresh designs, including one extremely new feature: Nvidia's Max-Q technology. Just announced last week at Computex, Max-Q promises to boost graphics performance in thin-and-light laptops. We hope to test this feature when the machines start shipping in August. Only one of the laptops announced Tuesday will have Max-Q: An Omen 15 configured with an Nividia GTX 1060 GPU. Nvidia says the Max-Q technology will let that GTX 1060 give a GTX 1080's worth of graphics power, while keeping a lid on thermals and noise. The Omen 17 will include an optical drive. 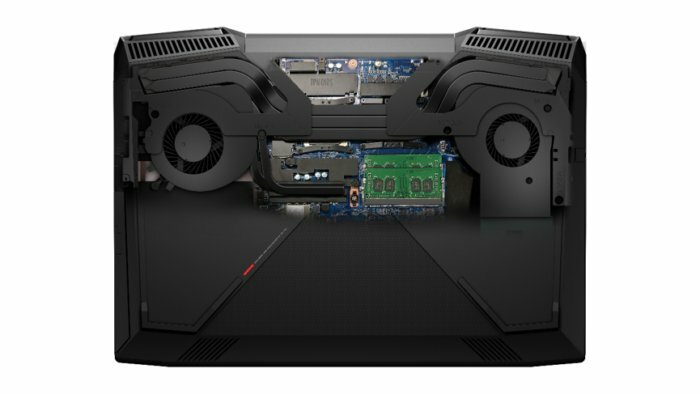 HP put larger fans into the Omen 15 laptop, resulting in 21.8 precent greater maximum airflow. The new generation of Omen laptops include improved thermals. As you might guess from the beefy GPUs these laptops carry, ventilation is important. According to HP, the larger fans Omen 15 laptops will offer up to 21.8 percent greater airflow. 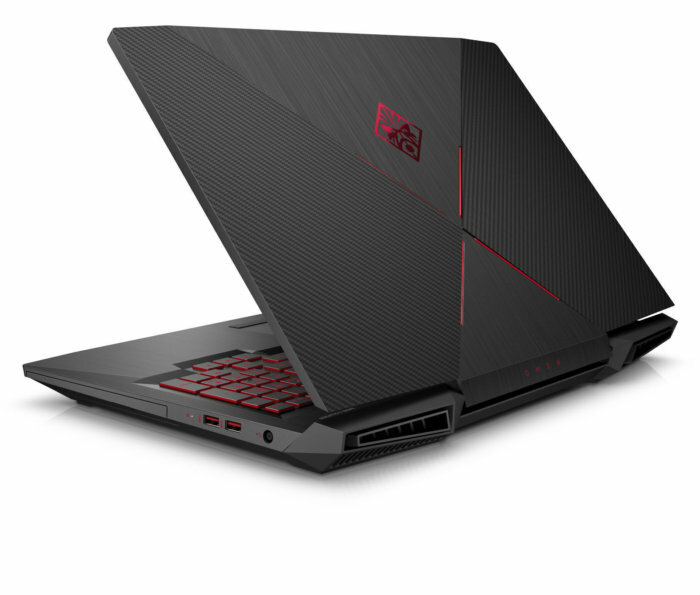 The Omen 17 laptop has to fit in an optical drive as well as fans. Nevertheless, its larger fans increase maximum airflow by 2.7 percent. HP put bigger fans into the Omen 17 even though it also had to fit in a DVD-RW drive. The Omen laptops also let you upgrade the memory and storage, though not the CPU nor GPU. The upgradable parts are accessible through a single door on the bottom of the unit. Omen laptop users will have HP's Omen Command Center to help them manage some aspects of the performance. The utility won't be able to overclock the CPU (that feature is reserved for desktop PCs), but it gives you one place where you may prioritize gaming and streaming on your network to reduce latency, or manage your keyboard settings. The backlit keyboard will have settings to highlight the WASD keys and 26-key rollover plus anti-ghosting. 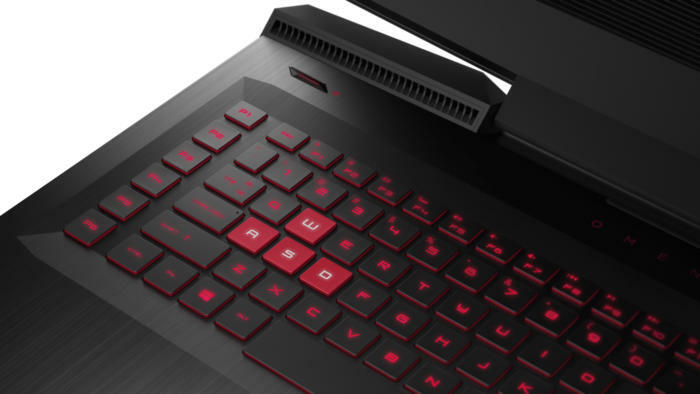 The red-backlit keyboard will offer 26-key rollover and anti-ghosting, full-size arrow keys, and WASD keys that can be highlighted. Why this matters: This new generation's line of CPUs and GPUs may make the phrase "gaming laptop" less self-cancelling. All the major PC vendors are battling for space in the gaming market, where users are more willing to pay for features that will enhance their gameplay. HP is making stride and packs in a lot of features for the price, but competition will continue to be fierce.